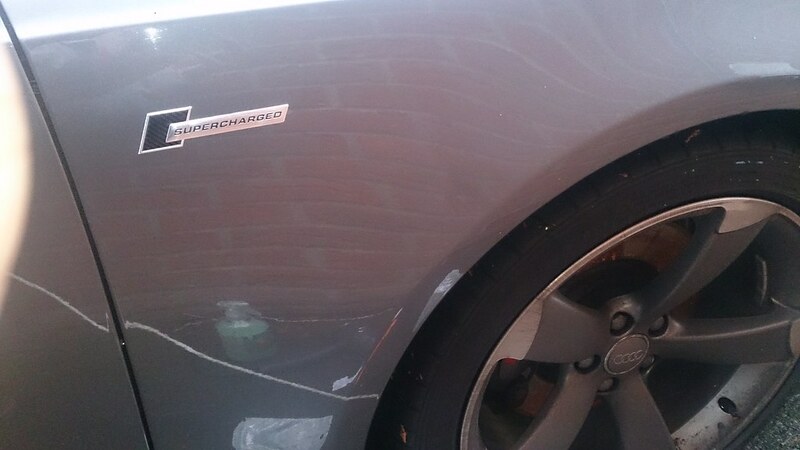 I have been looking for supercharged badges on eBay but most look to be poor quality. I have found these ones which are made of alloy, has anyone bought these ones and if so any comments on quality. Should a car be really supercharged to wear this badge shamelessly? I considered one and decided against it because my A3, despite being stage 1, still is 1.6 TDI, definitely not supercharged in comparison to bigger engines. Instead, I bought a MK7 look S-line badge because I like how it looks. Badges of this shape got popular nowadays. I hope it doesn't look cheap "in person". I wish someone made a s-line replica of a new S5 fender/door badge. Felt cheap and plastic in my hand, but as soon as it was fitted looks spot on, pic above is the only one i have and it still has the protective layer on it. like when people put M's on their non M BMWs .. just noooo! 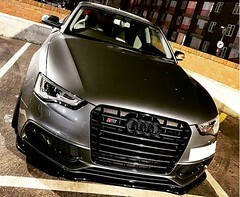 Or those who put RS3 on their aftermarket RS3 look grille (I've received such a badge in a package with the grille from X-UK). I wasn't sure about the plastic ones hence I found the alloy badges in my opening post. I think he ones you get from Audi are alloy too. Fitted that Chinese S-line badge (MK7 style) yesterday. I still am unsure whether I want to keep it or not. Let it be for a week or two before I make a final decision.